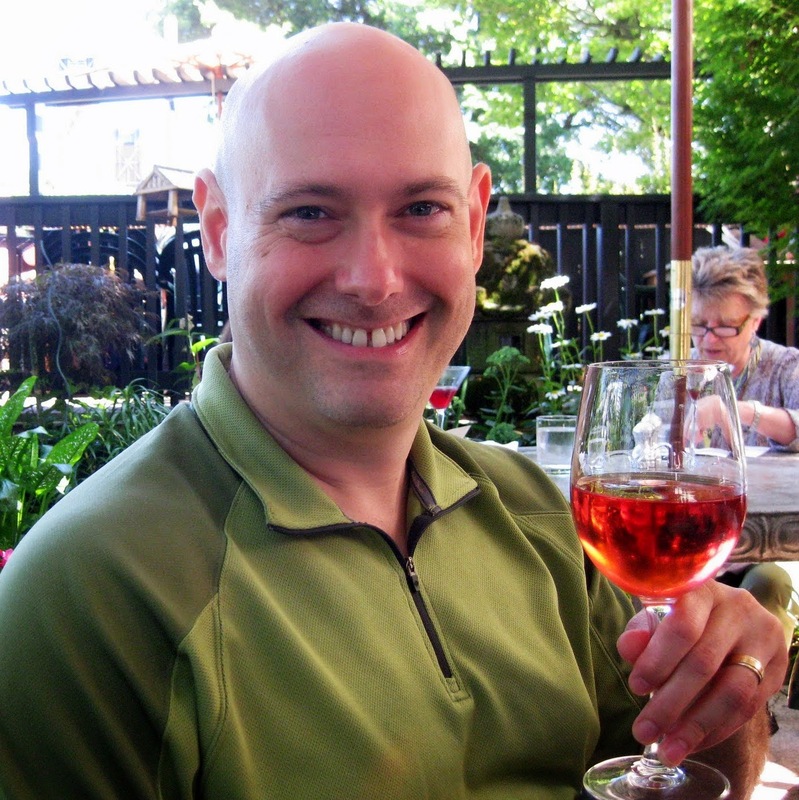 Few things bellow “Summertime!” more than my favorite warm weather drink, dry rosé. Settle in for a spell, then proudly order something fabulous and fuschia. So, what is this stuff? What makes it so tasty, so food friendly, and so refreshing? Think back to Winemaking 101. Grapes are crushed and the juice is fermented. The color in red wine comes from the juice’s contact with the skins as the sugars ferment. All juice from red wine grapes starts clear and darkens as more tannin is leached from the skins in a process called maceration. For some big red wines, this skin contact in the fermenter can last over a month. Rosé, by contrast, is generally only left in contact with the skins from 12-48 hours, depending on a number of factors. The resulting wine is, not surprisingly, some version of pink. 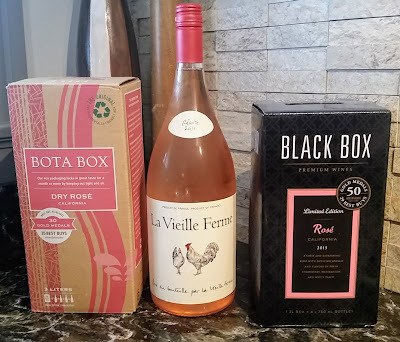 There are a few different ways to produce rosé. There is the “skin contact” technique -- the purest form of rosé making. The juice is left in contact with the skins for an appropriate length of time. The skins are removed from the fermenter and the now-pink “must” completes the rest of its fermentational journey into rosé. A winemaker using is basically committing to a (generally) less expensive wine than making the whole tank into a full red, so it’s a less common technique. With that in mind, the most common method of rosé production is called “bleeding” or saignée. A winemaker generally uses this method if they’re trying to concentrate (or “extract”) more flavor from a wine – or just if they want to make two different types of wine from the same tank. For instance, a Spanish winemaker may have a fermenter full of tempranillo, just pitched with yeast. She might then “bleed off” a certain percentage of wine in the tank after a day or so of skin contact. The remaining wine will be left with the skins to make a red tempranillo. The drained off, less colored wine will become her rosé. Just in case you’re curious, this is the method by which white zinfandel is made – except the winemaker stops the fermentation while there’s still a fair amount of residual sugar, resulting in white zin’s distinctive strawberry Kool-Aid flavor. Other, less common, methods include blending grape juices from white and red wines. While atypical, this is the method used in Tavel, one of the best known French rosé regions. In a real cheat, red wine can be decolored by filtering it with activated charcoal. Ew. 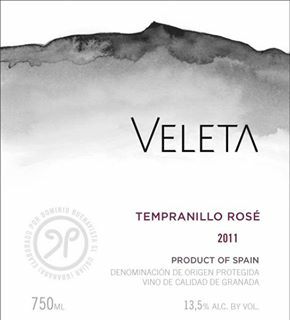 Veleta 2011 Tempranillo Rosé – An evening with a “fajita bowl” type dinner prompted us to open this Spanish rosé. In color, it’s considerably darker than many other roses. The wine’s major flavors are melon and strawberry. My favorite aspect of this wine is that can hold a bit of delicacy against a fairly spicy dish, which in this case was topped with a vinegary, spicy sauce. I could almost taste a trace of tannin to cool the heat. A great choice with summer tapas or Tex-Mex. For $10, a nice choice. San Giovanni Pasini 2011 “Il Chiaretto” Valtenesi Chiaretto – From the Lombardy region in Northern Italy, this blend of four red grapes was tart, tight, and acidic – and, honestly, not altogether pleasant. (It may be that this bottle was slightly over.) It had a bit of an odd scent that dissipated after a little time open – and was much less noticeable as the cooling sleeve did its work. Some strawberry and mineral on the palate with a little bitterness to the finish. However, next to a somewhat spicy red snapper braised in a “Veracruz” style, it was pleasant enough. I would say, though, that Italians are best known for reds and whites – not rosé. In the future, I’ll probably follow that instinct. $13. Von Schleinitz 2011 Pinot Noir Rosé – The Sweet Partner in Crime said, on tasting this wine – “Not to be too stereotypical, but if you asked me what I thought a German rosé would taste like – this would be it.” This is a wine that tells you aggressively, “HELLO. I am full of strawberry FRUIT and lots of ACID. I really work WELL with FOOD.” Honestly, I neglected to write down what we had for dinner with this – as we were chuckling away at our German grape anthropomorphism. That said, it’s worth a try if you enjoy German wines. $17. Chateau de Roquefort 2011 “Corail,” Cotes de Provence – Ah, Provence rosé. Arguably my favorite form of this pink stuff. If I think about rosé, close my eyes, and imagine a flavor – I’d land somewhere close to this. 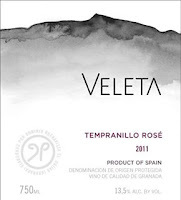 Faint flowers on the nose, followed with a light-ish body full of strawberry and peach. Slightly tart and slightly creamy, rather than being a big blast of fruity acid. Soft finish. A wine for exhaling with after flopping on the couch. Dinner with this blend of six different grapes was an appropriately French roast chicken tenderloins with tarragon with a “ratatouille sauté.” Scrumptious and sluggable. $14. Charles & Charles 2012 Columbia Valley Rosé – A Washington wine made from 100% Syrah, which gives it its substantial flavor. “Chunky” was at the top of my tasting note. I found lots of firm cranberry and peach flavors with a pleasantly weighty body and a slightly dry, fruity end. This is a rosé for when you want a wine that has big flavors, but you’re not in the mood for a deep, dark high-tide tannin red. You could conceivably have this with steak, if the little yummy noises I made when I had this with an awesome steak salad were any indication. $13. Thanks for the recs -- can't wait to try them! It's hard to believe, but it's true, pet proprietors totally cherish the stuff. Thus do auto mechanics. It's fullers earth incredible for drenching up oil slicks on the carport floor.